How can I improve my Resume and Job Search? Enterprise Rent-A-Car is the flagship brand of St. Louis-based Enterprise Holdings, a privately-held and family-owned company which, through its regional subsidiaries, also owns and operates the Alamo Rent A Car and National Car Rental brands. Enterprise is an internationally recognized brand with more than 6,000 neighborhood and airport locations in the United States, Canada, the U.K., Ireland, and Germany. With more than 5,000 offices located within 15 miles of 90 percent of the U.S. population, Enterprise Rent-A-Car offers a wide variety of car leasing, van-pooling, car-sharing and hourly rental. In 2012-13, Enterprise will hire 8,500 new college graduates, making them one of the largest recruiters of college graduate in the country. 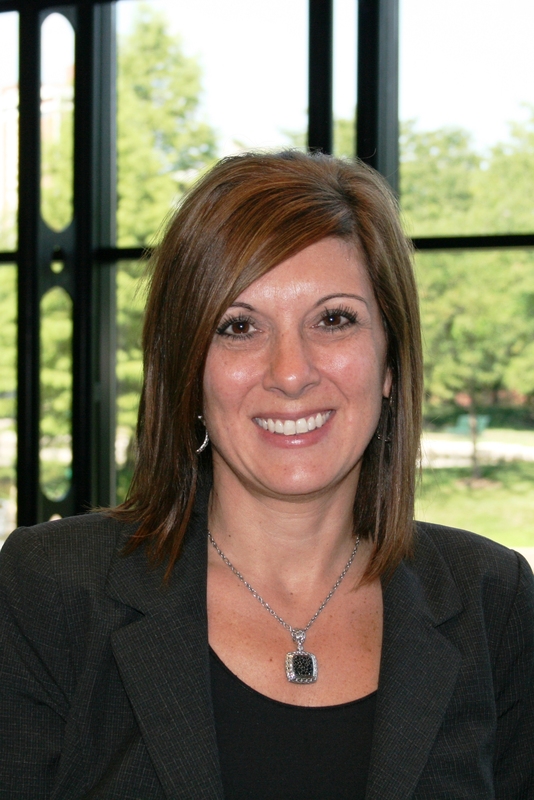 Marie Artim is Vice President for Talent Acquisition at Enterprise Holdings Inc. Prior to her current position, Marie was an Assistant Vice President of Recruiting and prior to that a Corporate HR Manager for Recruiting. Marie started her career with Enterprise directly out of college as a Management Trainee after completing her undergraduate degree at Purdue University. She has been there ever since. Marie, you’ve been with Enterprise a long time, and Enterprise has a reputation for keeping people around a long time. How do you retain employees so successfully? When we hire someone in as a Management Trainee we take a very long term approach. There are a lot of opportunities to be successful within the company. Whether you want to take a straight career path ladder or move from one region or area of business to another, there are many ways to advance professionally and stay in the Enterprise family. And, we like to promote from within! I started as a Management Trainee 20 years ago. Our CEO, our COO and just about all of our other senior level leadership also started as Management Trainees. We want our employees and prospective employees to know that at Enterprise, you can change careers without changing companies, as long as you are ready to work hard, deliver exceptional customer service and have fun in the process. We do a great job retaining employees who want to work hard and have fun in an environment where hard work and exceptional customer service is rewarded. And it’s been that way since the company was founded in 1957. Take care of your customers and your employees and the profits will follow. This philosophy has been the backbone of our success story. We want to exceed our customers’ expectations, and we want to reward our employees for delivering great service. What about location? How do you decide where management trainees will work? We really leave location up to the candidates. Whether you want to live in a small town, a big city or somewhere in between – it really doesn’t matter. We want to put people to work near where they want to live, and with 5,500 locations across the US, we offer a lot of options. When you recruit on college campuses, what types of positions are you seeking to fill? We recruit on campus for our Management Training Program and our Management Internship Program, and we are open to all majors. How important is a student’s specific college major? We see a lot of business majors applying for our opportunities because what we offer is business-related, but we also see successful and competitive candidates also from communication, liberal arts, math – you name it. It’s less about major and more about overall fit and desire to work for Enterprise. Regardless of major, we are looking for candidates with the soft skills and the business acumen required for the job and a real desire to learn how to run a business. What about other opportunities with Enterprise; those in human resources, accounting, information, technology, etc.? How do you fill those positions? The vast majority of our opportunities at all levels are filled from within the company and with candidates who originally came to us through the Management Training Program. Roles in human resources, marketing, purchasing, and the like are almost always filled with candidates that have gone through our Management Training Program. We have a similar Training Program for accounting, and we do recruit for this Program on campus, as well. There are just a lot fewer opportunities in that Program than there are in our Management Training Program, so our recruiting activity is not as aggressive. Nearly all of our information technology staff is in our corporate offices in St. Louis, and we don’t actively recruit entry-level candidates for our IT department. But, if someone is interested in working in IT for Enterprise, they can find out about available opportunities on our website – http://go.enterpriseholdings.com. What do you look for in candidate? First and foremost we look for customer service & empathy. Candidates must show the ability to go above and beyond to take care of customer needs. We also look for leadership skills. Since the Management Training Program is our leadership pipeline, candidates need to demonstrate that they possess leadership skills and characteristics. Strong candidates also show they are flexible and adaptable. Management Trainees need the ability to think on their feet, make quick decisions and be flexible and adaptable in their approach to work and life. Things move pretty fast around here, and you need to be able to keep up. A strong work ethic and ability to multitask are very important. Candidates that worked while they were in school and/or were involved in student organizations and still did well in school have proof that they can juggle multiple responsibilities effectively and get the job done. Lastly, excellent communication skills are a must. Someone who is highly social tends to do well with us because ours is a customer-focused business. You have to have the soft skills to go along with the desire to work in business. In addition to their coursework, what do you recommend students do to be prepared to go to work for Enterprise? Get a job while you are in school! Holding down a job while going to school, whether it’s full-time or part-time, tells me a lot about your work ethic and your ability to manage and prioritize your responsibilities. Get involved in your campus and community! Being involved in student organizations, community organizations, and athletics gives you the opportunity to work in teams, demonstrate leadership, get things done and make an impact. Focus on quality (not quantity) of involvement. It’s not about just joining student organizations; it’s about the quality of your involvement. I would much rather see a candidate that has been deeply involved and active in one organization than one that has joined a lot of organizations but done little or nothing as a member. I can’t stress that enough – it’s about the quality of the involvement, not the quantity. In addition to their coursework, what do you recommend students do to be prepared to go to enter the workforce? Find a way to experience a 40-hour work week. Whether that comes from a full-time summer internship or some other kind of full-time work experience, if you can experience working full-time before you officially enter the full-time workforce, it won’t be such a culture shock! Look for ways to demonstrate individual accountability, work under deadlines and work in teams. You will have to be personally accountable, work under deadlines and work well with others in your job no matter where you end up working, so the sooner you develop these skills the better. Develop your ability to communication professionally. Communicating for business – in person, on the phone, via email, on paper – is very different from communicating personally with friends. The better your communication skills – written and verbal – the more successful you will be professionally. Learn how to think on your feet. Life after college doesn’t follow a lesson plan. It isn’t nearly as structured or predictable as college. You have to think on your feet and read/react/adapt to new situations daily. The sooner you develop ability to think on your feet, the better prepared you will be to enter the workforce. What are some of the classic mistakes you have seen students make when interviewing? A lack of preparedness. The biggest mistake I see is someone trying to just wing it. We still see students who don’t take the interviewing and recruiting process as seriously as they should. They’re not prepared to talk about themselves or discuss how what they offer matches what we need in candidates. Winging it doesn’t work! Not understanding our business. I sometimes hear students say they want to work for Enterprise because they want to work in the travel and hospitality industry, and they cite helping people with their vacation rentals as an example of what they mean. In reality, vacation rentals are a very small part of what we do, and we are not necessarily in the travel and hospitality business. What are some of the most impressive things students have done when interviewing? I am always impressed when students show a genuine interest in and commitment to the hiring process throughout the hiring process. When they come to information sessions, meet with us at career fairs, and then come to interview. They are showing a commitment to the process. When you meet with student for the first time and that student has already done an informational interview with someone in our company, that shows a real interest in Enterprise and in making a sound career decision. Then, wow me in the interview, show me you understand our company, show your enthusiasm, and follow up with thank you notes. You mentioned thank you notes. How important are thank you notes? As much as we talk about thank you notes, students still rarely send them. If you’re just not qualified for the job, a thank you note isn’t going to help. But, when there are multiple qualified candidates, and one of them takes the time to prepare and send a unique thank you note – that makes a real difference, particularly as the interview process progresses. If you knew then what you know now . . . what advice do you have for college students as they consider their career opportunities? Keep an open mind to explore all opportunities and do your research. The “perfect job” may not be so perfect once you learn more about; and the job you never thought you would want might be exactly the job and career path that suits you best. Dig below the surface on opportunities – don’t judge things based on your first impression. You’ll be surprised by how much you will learn and how many opportunities you will discover. « What can I do with a degree in University Studies? Thank you Matt for sharing. Very useful tips and I intend to use them. Hello and thank you for your advice/help! Although I graduated college 10 years ago this article was a great refresher course! With my years of traveling I have noticed that customer service is truly lacking in some parts of the world. I am glad to know that there are companies out there that take pride in customer service and strive to better it every day! Thank you for the great tips! I earned my Bachelors degree in Business with a concentration in Management. I had no idea what I wanted to do once I completed my education. It puts me at ease to know that this company welcomes degrees and gives people an opportunity to prove their skills and commitment. I related to the point you made, going to school and having a full time job (50+ hrs-week) and a family is quite a juggle. I happened to come across this website as I read about Enterprise Holdings. So far I like everything that this company stands for and believes in. My previous job (10 yrs.) gave me the opportunity to interact face-to-face with 45-50 different customers daily and address their concerns as they came up. I have much respect for Mr. Jack Taylor for serving this great nation in the U.S. Navy during a time of war. I am also a veteran of the armed forces, I served in the United States Marine Corps and very proud of it. Marie, congratulations on all your achievements, again, thank you and Mr. Matt Berndt for the helpful tips.